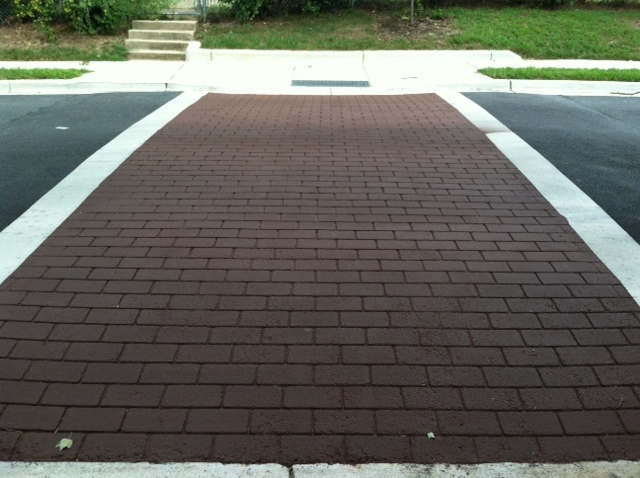 Speed Tables in Town of Cheverly, MD | My Asphalt Dr. 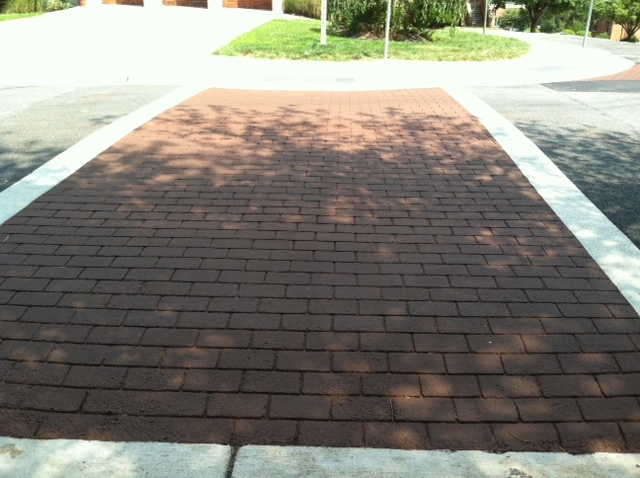 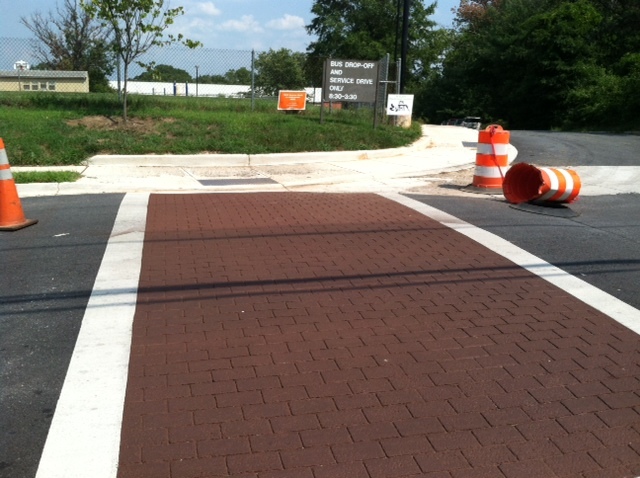 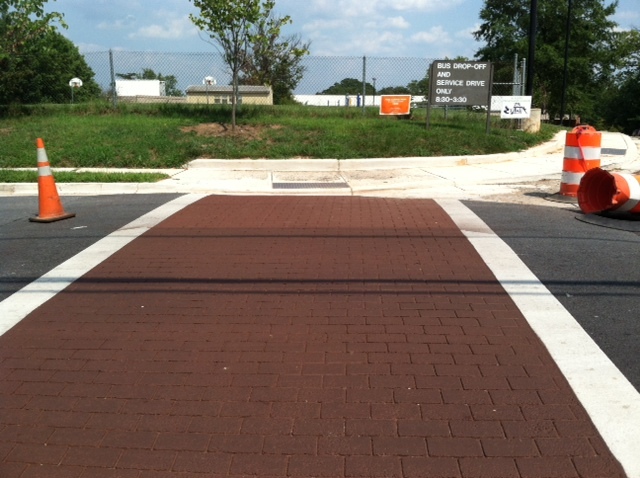 Alternative Paving Concepts recently installed 6 speed tables and crosswalks in the Town of Cheverly, MD using StreetPrint. 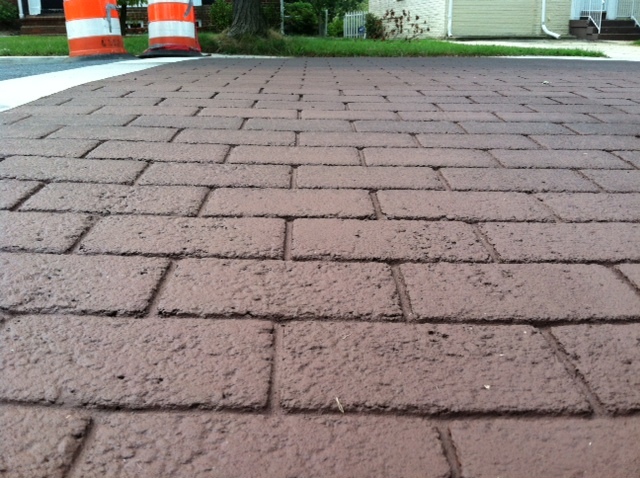 This is a great solution and look for the local area. 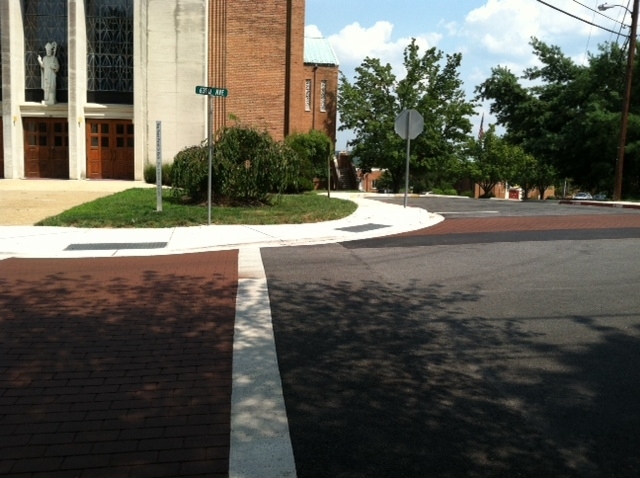 Being next to Saint Ambrose Parish and also Gladys Noon Spellman Elementary School, these speed tables and crosswalks will provide a safe way for pedestrians to cross the street. 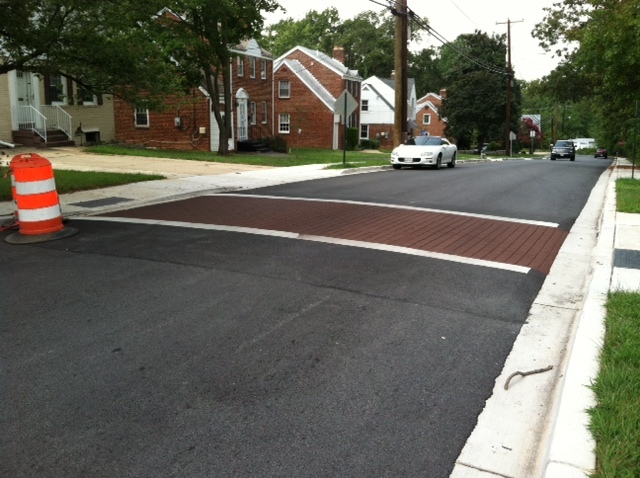 These StreetPrint speed tables will also act as a traffic calming solution. 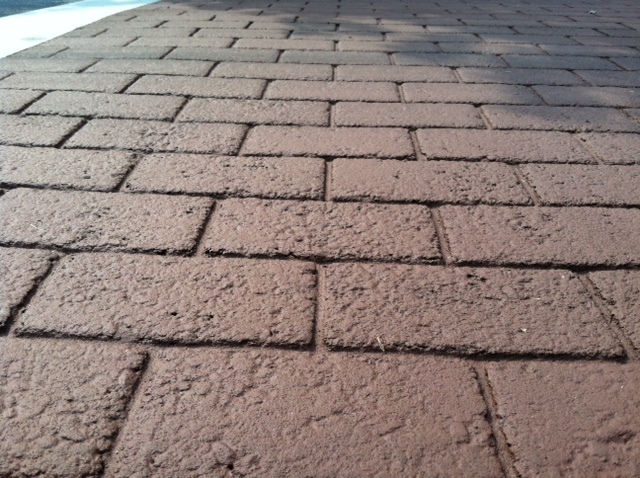 These were done in an Offset Brick pattern, with the color Brick.